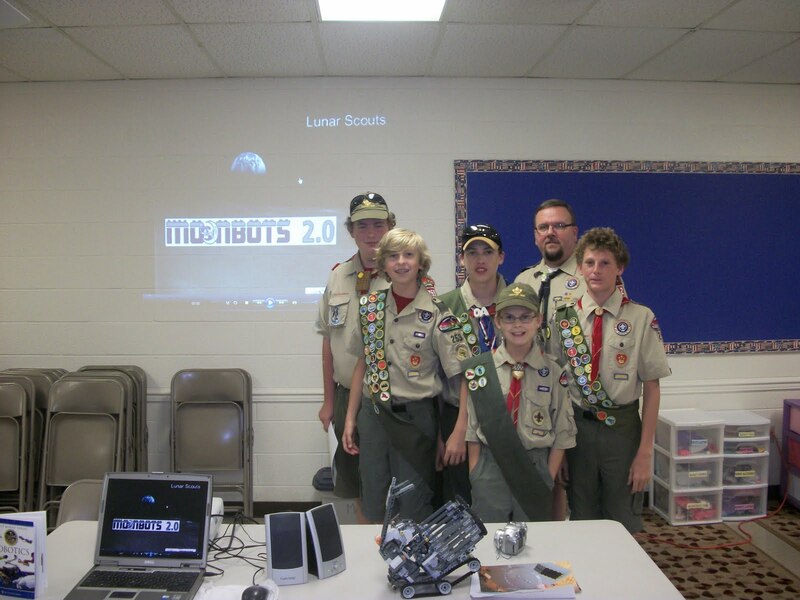 Over the past weekend, the 20 MoonBots finalists were put to the test as their Lego Moon rovers were required to perform live missions for the judging panel. Teams earned points toward their grand total by carrying out mission objectives (such as finding "water ice" and exploring craters), and were additionally judged on their STEM outreach projects carried out over the summer. While the winners of the competition won't be officially announced until Thursday, it is worth noting that these teams have done some extraordinary outreach work, and the media has taken notice. The following is just one such example. Team "Just Ducky" were featured on Fox News Twin Cities -- check out the video below to see their robot in action. Pretty cool. 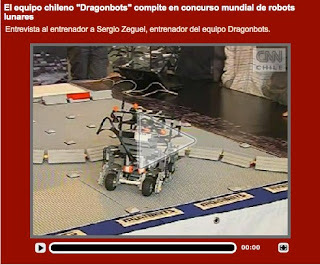 It's also worth mentioning that Team "Dragonbots" was featured on CNN Chile -- for a full 14 minutes! The video is not embeddable here, but you can click the image below to watch (note: video in Spanish!). Congratulations to all of the MoonBots participants -- you all accomplished GREAT things this summer. 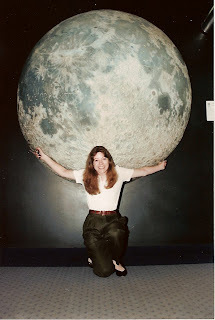 A lot has been happening related to NASA Centennial Challenges in the last few weeks, so here's an update that focuses mainly on them. As you can see, starting a major prize competition can be quite a challenge in itself. This will be upgraded to a two day event based on the feedback that we have received. Food and drink will be provided. There will be speakers in the vein of last time, but additionally all potential teams that wish to present will be able to do so on a first come, first serve basis until the slots are filled. Potential suppliers for the teams will also be given time to present as well. Tech Could Beam Power to Drones - Lasers could power drones in flight and remove the need for gas deliveries to army bases. - Discovery News covers LaserMotive, the winner of the most recent Beam Power Centennial Challenge. @AUVSI: Diamandis: will announce $10M purse James Cook X Prize next month for AUV that can circumnavigate the globe collecting certain data. Move Over DARPA: X Prize is Here - National Defense Magazine - This covers the Peter Diamandis talk at the conference. It includes a bit more information about potential prizes, including the James Cook X Challenge for a long-range autonomous underwater vehicle with a sensor suite and an Autonomous Auto X PRIZE that would pick up where the DARPA Challenges left off. CAFE (Comparative Aircraft Flight Efficiency) will conduct the event from September 25 through October 2, 2011 at Charles M. Schulz Sonoma County Airport. 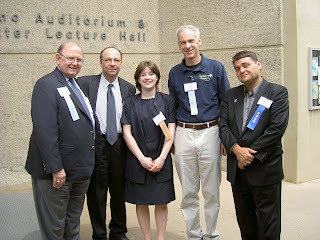 ... All competing aircraft will be shown to the public at the Google Green Flight Challenge Exposition hosted by NASA at Moffett Field–NASA Ames Research Center, from 9 AM to 4 PM on October 3, 2011. ... In addition to the main prizes for highest scores, the competition includes a bio-fuel prize and plans for a special Lindbergh Prize for Quietest aircraft, to be presented by Erik Lindbergh, grandson of the renowned winner of aviation’s Orteig Prize, Charles Lindbergh. Team Prometheus officially entered the Carmak Micro Challenge today. Our launch date is set for March 10th 2012. That's the date for our Space Shot. Going to be crazy here for a while! Finally, keep an eye on Team JURBAN. They announced that they have hardware built and are doing a demo at a Baltimore Inner Harbor robotics event on September 25th. They even promised a special guest that they will be announcing soon! What are MoonBots Finalists Up To?! A WHOLE LOT! As our teams prepare for their live final lunar science mission rounds, they have also been very busy over the last month working with kids from all over the world. We are extremely impressed with all of the great Science, Technology, Engineering and Math (STEM) outreach projects focused around the topic of MoonBots. We love to hear that this Google Lunar X PRIZE MINDSTORMS Challenge is reaching kids in so many fantastic ways! Here are some great examples of what teams have been up to.